Before integrating Zentail and Shopify, please take a moment to generate a backup of your Shopify data. In order to integrate your Shopify account with Zentail, you'll need to provide your Shopify API credentials -- API Key, API Password, Shared Secret. 4. Allow the app to access your storefront data using the Storefront API as shown below. 5. 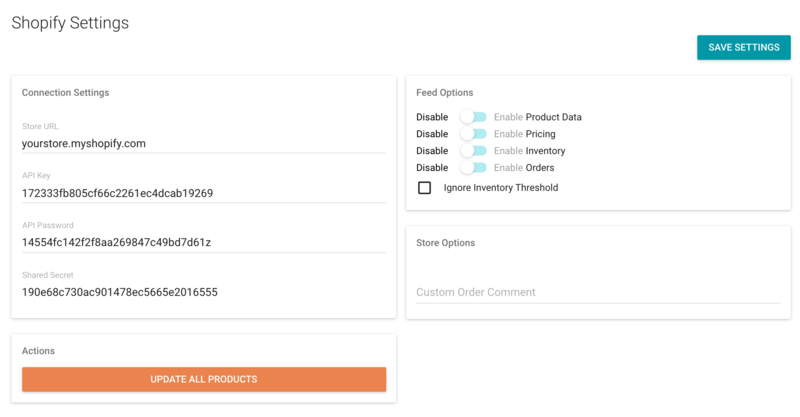 In the Shopify section of your Zentail Integrations page, enter each of the fields in the Connection Settings section (Store URL, API Key, API Password, and Shared Secret). Make sure you use your ".myshopify.com" URL. 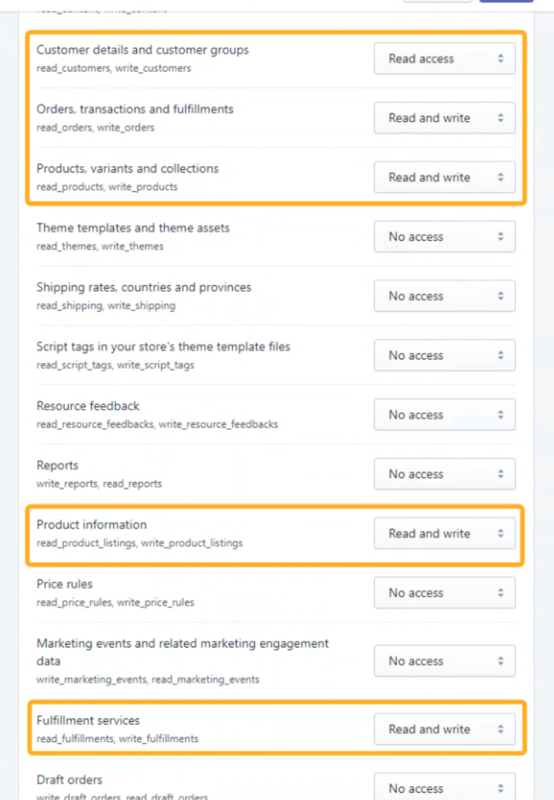 Do not enable any of the feed options or switch to production mode before speaking with your onboarding specialist.